In Greek mythology Gaia is the personification of the Earth. 1.8 million times smaller than the real Earth, each cm of the internally-lit sculpture describes 18km of the Earth’s surface. Standing 211m away from the artwork, the public can view the Earth as it appears from the Moon – as first observed in 1972 during the NASA Apollo 17 mission. 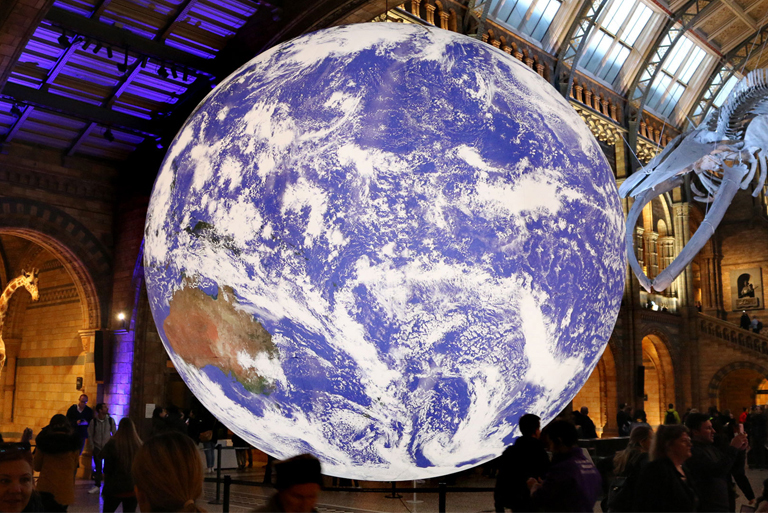 Measuring seven metres in diameter, Luke Jerram’s internally-lit spherical sculpture of the Earth features 120dpi detailed NASA imagery of the Earth’s surface. Witness the ethereal blue and green light cast by the suspended installation over Hardman Square in Spinningfields, and bathe in the atmosphere of the surround sound composition created by BAFTA award-winning composer, Dan Jones. 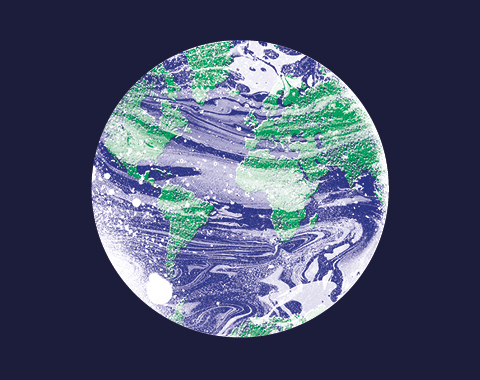 Spinningfields are excited to welcome this touring artwork to Hardman Square between 19 and 23 April, in recognition of Earth Awareness Day (22 April). Please be aware that in the event of adverse weather conditions, the artwork will be temporarily dismantled. 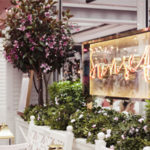 Australasia's terrace and bar has been transformed into a breathtaking Pacific paradise in the heart of Spinningfields. 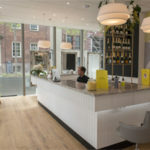 The highly anticipated blowdry bar, founded by Kate Nixon, launched on the ground floor of No.1 Spinningfields on 12 July. 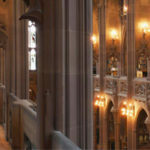 Discover the story of the Peterloo Massacre in The John Ryland Library’s latest exhibition. A compelling selection of bestsellers have been secretly hidden around Spinningfields to celebrate #WorldBookDay. Follow us on Twitter for clues as to where each book can be found Good Luck! Spinningfields has several event spaces available for hire - perfect for a brand activation.